Certified and referred in coaching by the network Solution Performances since 2013, certified in hypnosis standards ISEH and ABH, Sophie can guide you in French and English. Each Friday morning from 8 AM to 9 AM, make an appointment with yourself and join us in the zen and welcoming Yoga Searcher*. A few minutes of explanation about the benefits of a meditation practice, then let's make room for the experience! Why do we stop meditating before we feel the benefits? Discover a simple and accessible practice to integrate in your dail life. A morning session to end the week in serenity and in conscience: 1 hour of meditation then let infuse the benefits in your day! 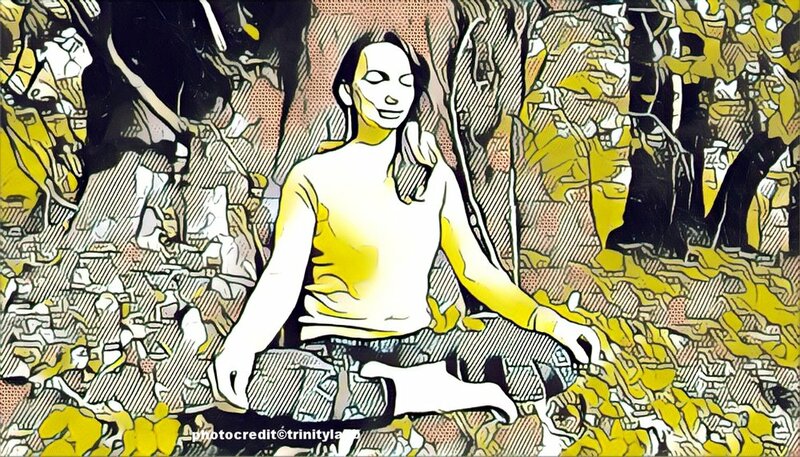 For a fuller description of the meditation sessions, click Meditations at Yoga Searcher and on www.AlpesMeditation.com, a website dedicated to meditation since November 2017. Sessions are conducted in French; English sessions on demand ( individual or group session). Group session available at your business place (minimum of 5 people). By being part in our workshops, you take the opportunity of testing, re-discovering your internal resources, always present when we ask them, in particular through our breathing and the mechanism of our thoughts; it is universally recognized that our thoughts have an impact on the reality of our lives, on the choices we make, and those we do not, on the consequences of our actions and our non-actions… What does occur when we are invaded by negative thoughts, or doubt, stress? What is the answer that the others and events mirror to us? Paying attention to our thoughts, our beliefs is a way to become aware of our own responsibility in the life we create. And it is a good news! When 50% of our genetics and 10% of the external circumstances influence our life and the way we create it, there are always 40% which depend directly on our perception of our reality, this same perception which influences all our choices! And even if the circumstances of the present do not seem favorable to us (stress, fear, diseases…) it is very often during these times that we are ready to change what should be in ourselves. All the tools and the resources included in these workshops were selected thanks to the experience and in partnership with experimented and engaged therapists, who regularly make us the honor of their active participation. These tools are usually used during individual sessions (therapies, coaching…), and we make possible to you to discover them in small group for a smarter price, always within enveloping and pleasant frameworks! Each workshop holds between 2,5 and 3 hours and includes home kit resources for your autonomy. To check the dates and the contents, go to the Events Page. go on with these concrete resources to use in your everyday life. To see the dates and the contents, go on the Events tab. Since 2015, SBR Coaching & Resources organized dozens of workshops and group sessions in various places, on topics around wellbeing, mindfulness, intuition, creativity, and stress management. Would you like to offer to your company the opportunity of having coach facilitator come to your workplace to help people learn about how to boost health, eliminate stress and skyrocket productivity? If you're interested in more information for your workplace or business group, please email us. ” I would like to know the impacts of the stress on the body and to (re)balance my energies"
You will find some testimonials of participants after workshops by clicking HERE.